Barnes & Noble is the largest retail bookseller in the United States. When you walk through the doors of one of these fabulous stores you are immediately overwhelmed by the high quality and incredible quantities of material for all consumers, old and young. Inside a Barnes & Noble, there is something for everyone, the thrill seeker, a mystery guru, your science fiction fanatics, hopeless romantics, children, and everyone in between. Don't forget in store coupons and enjoy shopping with our Barnes and Noble coupons. Barnes & Noble also sell digital media, educational material, and many other products such as Nook e-readers and other tablets. 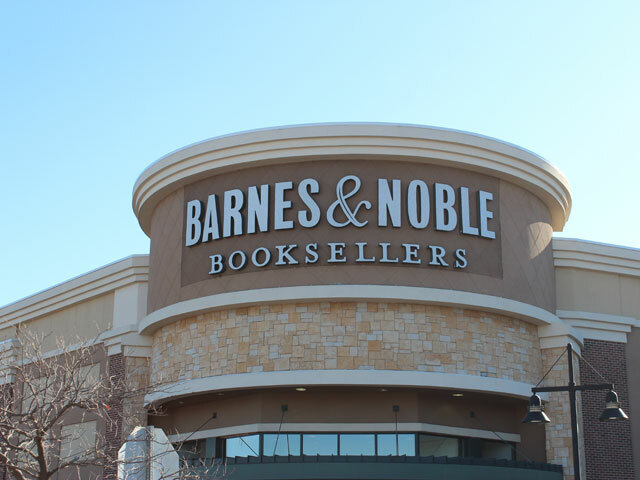 There are over 658 Barnes & Noble stores in the United States and as of 2014 are stationed in all 50 States. Barnes & Noble is also a leading retailer in collage material and have over 714 collage bookstores around the world. They mainly operate through the Barnes & Noble Booksellers chain of bookstores but also have a strong online presence. The Company is located on Fifth Avenue in Manhattan, Ney York. Barnes & Nobel is one of America’s last remaining national bookstore chains and stands to hold its ground in the digital era of today. The company was founded in 1886 in New York City where they still remain today. In it’s early years it was operated as Arthur Hinds & Company. When Gilbert Clifford Noble was made a partner in this company the name changed to Hinds & Noble. Year’s later in 1917 Noble bough Hinds out of the company and introduced William Barnes into the scene. The store was from then on known as Barnes & Noble. Customers will find the official website located at barnesandnoble.com. 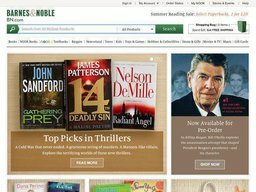 What makes the site particularly popular is the range of offers and deals, that can be redeemed with Barnes & Nobel coupons. We have all the latest codes here at Coupofy! If you're looking for nearby Barnes and Noble locations, then you can use the store locator to do so with ease. The company also operates a Kids' Club. Parents will especially enjoy the special savings that they receive after signing their children up. They'll receive 30% off the purchase of one book or toy as well as loyalty discounts in the future. Your child will also receive a free cupcake for their birthday from the company's cafe. They also do their part to help educators out also. Whenever making a purchase for classroom use, educators receive 20% off of the list price. They will also receive a special discount of 25% on special appreciation days. Barnes and Noble stock one of the largest selections of print books in the world, encompassing all areas of fiction and non-fiction, from the classics to new releases, and for all age groups. You can browse by genre, bestsellers, and lots of other parameters. There are also journals, magazines and newpsapers, textbooks, and audiobooks for those that prefer to listen than read. As well as books and publications they now also sell Toys & Games (like LEGO, stuffed animals and board games), DVD and Blu-ray releases (including movies and TV box sets), Hobbies & Collectibles (crafts, puzzles, and licensed collections from the likes of Dr. Who and Star Wars), and Home & Gift items (such as electronics, bags, art & craft supplies, and more). Depending on what's available at the time, your Barnes & Noble coupon code may apply to any product or specific items only. Clicking the coupon at Coupofy will provide further details. You can also buy gift cards with values between $10 and $350. Buying in bulk is usually a good way to save money. This holds true whenever you purchase from Barnes & Noble. Simply contact them to see if they'll give a discount on your bulk order. It just needs to be for at least 50 copies of the same title. One of the special products that the company is known for is the Barnes and Noble nook. These tablets and e-readers make a good way to get some reading done while on the go. They also have mobile apps available as well. Before shopping with the company, you should consider signing up for a membership. You'll start saving immediately after signing up with special discounts they send out such as Barnes and Noble textbook coupons. Barnes & Noble allows many different forms of payment. They accept American Express, Visa, MasterCard, Diners Club, Discover, JCB, and corporate purchasing cards, as well as their B&N MasterCard store card that gives you 5% store credit with every purchase. You can also pay with gift cards for all or part of your order, but these are not compatible with rental items. If you have a Barnes and Noble coupon code that you wish to redeem, then the process is very simple. All you have to do is add merchandise to your cart then go to checkout as normal. Once you reach the checkout page, you will spot a place to enter your special discount code. You can also use a Barnes and Noble printable coupon if you prefer to shop in store. Barnes & Noble offer free shipping to their members and to anyone who spends over $25 at checkout without having to use any Barnes & Noble coupons. The company covers all contiguous U.S. addresses with the exception of P.O. Boxes and military addresses (APO/FPO). They also offer International airmail and as such can ship anywhere in the world. Shipping costs vary based on the size and value of your order, and your chosen delivery preference. This however will be fully calculated before the checkout process is complete. Because they have a wide variety of different products there is no singular returns policy, so you are advised to check the website to see what return policy applies yo your order. Most standard books and items fall under the 14 day policy and must be returned in their brand new state, with shrink-wrapped products unopened. If you meet these requirements you will be eligible for a refund or exchange.